Quadriceps femoris commonly known as quads is a four headed muscle of femur which is a large bone in human leg between pelvis and knee. Quads are also called quadriceps and quadriceps extensor and considered to be the largest group of muscles on thigh’s front area. Being a large group, quads cover a big femur area from sides and front. The quads are sub-divided into 4 areas which are commonly known as ‘heads’. All of the four heads have their particular names. Rectus femoris covers thigh’s middle region and the other 3 thigh muscles which bring all of them deep down to rectus femoris. It begins on ilium which is the upper portion of hipbone. The origin of rectus is pelvis inferior anterior iliac spine and acetabulum’s upper margin. The second head is vastus medialis and found in the frontal area of thigh; it is considered to be the most inner or medial one. Vastus Medialis extends through whole length of thigh. The muscle area found right above knees can also be referred as VMO or vastus medialis obliquus sometimes. Main function of this particular type of muscle is to straighten or extend leg from the joint of knee. The second important function is to stabilize and protect knee cap which is called patella in medical terminology. If leg is not extended regularly with full length, it cannot be strengthened completely which will make it weaker with the passage of time. There are various exercises which can be performed regularly to strengthen vastus medialis. The most popular of such exercises are leg presses, knee extensions and squats. Proper exercises will enable leg to get completely extended and the muscle will also get fully activated as a result. Therefore, experts suggest performing the quadriceps exercises that insist having greater range of motion. The vastus lateralis is found on the side of thigh. There are various large muscles in human body, but vastus lateralis is said to be the largest one among whole quads. The group is considered to be the largest muscle group in the body and the major function of it is to extend knee and the major function of vastus lateralis is to make lower leg extend. The same muscle helps in raising your body while in a squatting position. 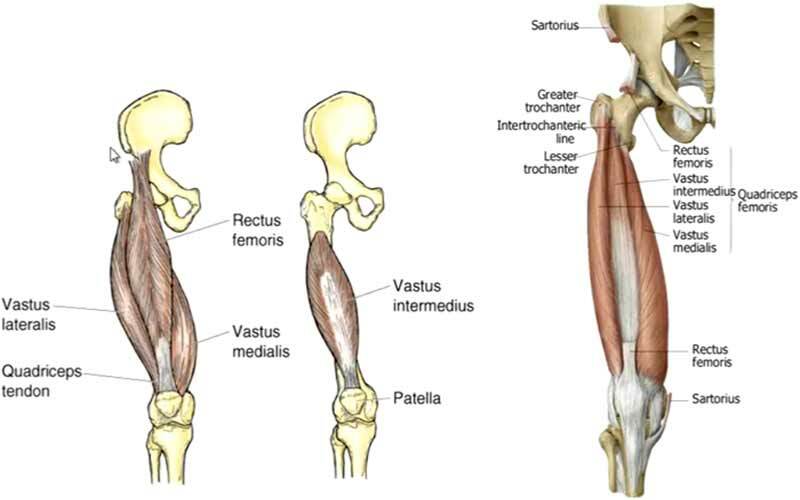 Vastus lateralis is attached with femur from upper end while patella is the other end of its attachment. As a group, quads gives power, strength and stability and all of these factors play a major role in bearing impacts and effects generated from daily activities such as running, jogging and simple walking. Being the part of the busiest group, vastus lateralis may also get various types of injuries and most common of them are strains and contusions. Location of vastus intermedius is femur upper portion which is commonly known as thigh bone and it covers front and side parts of femur. The vastus intermedius and vastus medialis both are quite closed to each other and during the flexion of femoris, it has been observed that a little area appears right between both of these two muscles. Though intermedius and medialis move in a constant line, it must be understood that they are separate. Vastus intermedius is difficult to be stretched because of its typical location in quads. If you want to train this area with massage therapy or extension exercises, this will be useless as its location does not allow the effects of extension and massage to reach there. Person with strain in this muscle has to opt for special surgical methods rather than simple therapy or exercise. It is also known as Pronated Hip Flexor Stretch and is a type of stretching and the main targeted muscle group is quadriceps. The required equipment is only body and the training level is intermediate. It is quite popular and it is also known as olympic squat and high bar squat. It is a compound workout which is used to gain strength for quads, calves, hamstrings, glutes, and lower back. It is also for intermediate level. 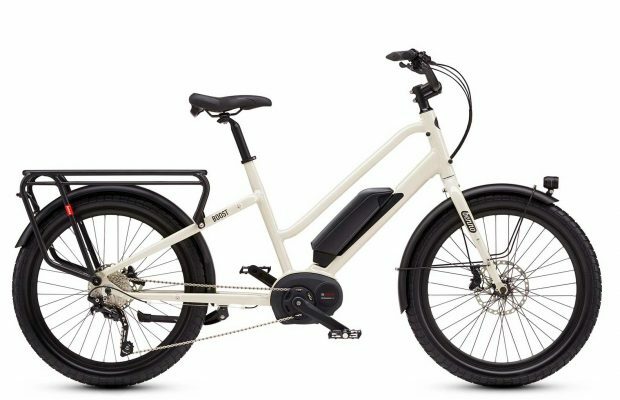 Bicycling is just a fun and it is basically cardio which you can perform anywhere out of your home in fresh air; you don’t have to limit yourself to the gym or home. The major muscles which are trained are quadriceps but the calves, hamstrings and glutes also get great improvement. It can be done with the help of a cable and it requires only pull force to complete the workout. It also targets glutes, forearms, hamstrings and lower back. It is a type of plyometrics and it is being widely used by those who want to train their adductors, abductors, glutes, calves and hamstrings along with quadriceps. The tuberosity of tibia, which is also known as tibial tubercle or tibial tuberosity, is a large quadrilateral altitude on anterior, proximal tibia aspect, right below at the area where medial and lateral tibial condyles anterior surface. It is usually presented as a roughened projection on proximal tibia’s anterior surface. In short, the tuberosity of tibia is the place where all 4 important parts of quadriceps eventually get inserted. Is Articularis Genu 5th Muscle of Quads? Association of articularis genus and knee joints’ anterior aspect is quite closed and this muscle may also act to retract or elevate suprapatellar bursa. It may also be referred as the fifth muscle from quadriceps complex, however, it is often neglected which is resulted into very poor and low understanding about it. There are various injuries and most common injury is called contusion which causes lots of pain and disabling. The main culprit of this condition is considered to be a direct blow which may be given by a solid object to anterior thigh. In rare cases, it has been observed that the injury become severe and ultimately leads to acute compartment syndrome. The other injuries may include strains and tears in tendon which may develop at tendon junction conjoined muscle. This part may also get fascial rupture which may be developed in partial or complete rapture. Fascial rupture frequently occurs at middle region of thigh. Being the largest and the busiest muscle group of your body, the quadriceps is very important and plays a major role in performing your routine activities. Therefore, it is highly recommended by fitness experts and doctors to keep this body part fit and active with regular and proper exercises.